Though this exhibit focuses on the Ojibwe of Manitoulin Island, it is not the only land that Ojibwe peoples have traditionally called home. 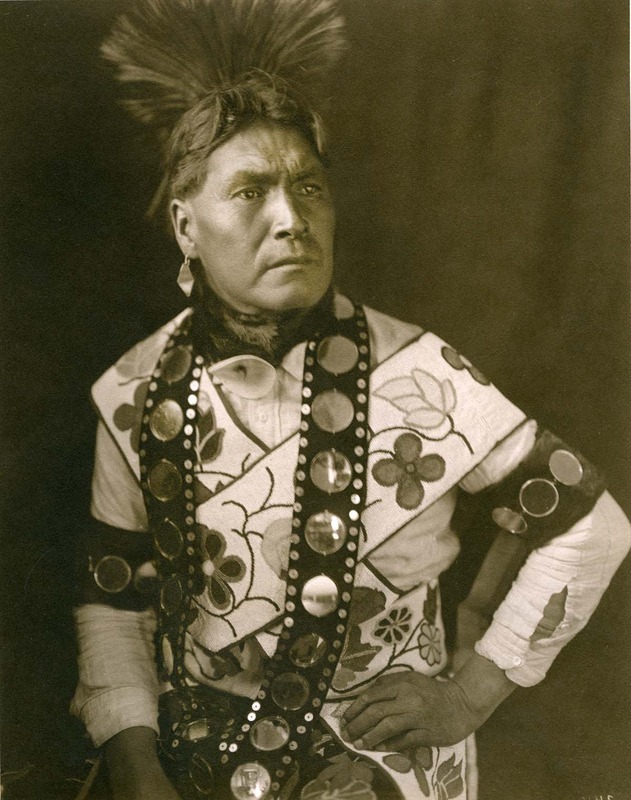 These photos of Ojibwe people come from the Wanamaker Collection at the Mathers Museum and were taken in the early 20th century at the White Earth Reservation in Minnesota. 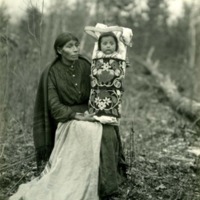 The people in these photos are wearing traditional finery, decorated with beadwork in floral designs. Beadwork has become part of traditional Ojibwe craft, but quillwork, like the boxes in this exhibit, existed in Ojibwe communities long before. One photo shows a particularly stunning piece of beadwork. 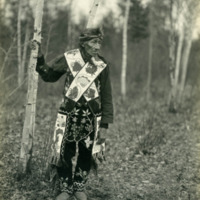 Pe Dah Nah Quoad, the man standing in the woods, is wearing intricately beaded bandolier bags. Beaded bandolier bags were often crafted during winter months to be traded in the spring; a high-quality beaded bag could be worth a pony!